As Nature’s diuretic, I have witnessed many people use it wisely with guidance to get off of a synthetic diuretic with a host of negative side effects. Dandelion leaf has the most diuretic effect. Start with 5-10 drops of tincture or a daily cup of tea with dried dandelion herb (anything above ground) or root. Constipation is defined as hard and dry bowel movements, regardless of frequency. 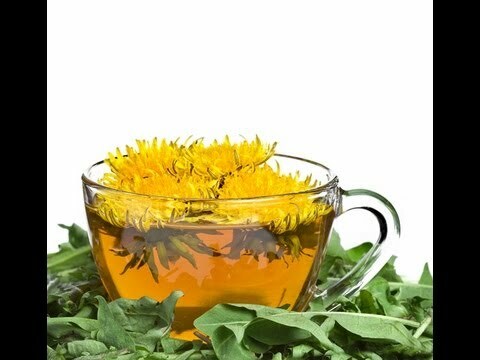 A little dandelion root tincture or tea each day can help–once you know you are drinking sufficient water throughout the day. And be patient on the potty! Irritability and depression often go hand in hand at the end of winter–but bright yellow dandelion flowers assure you of longer days of light ahead and can help with these symptoms which often originate in the liver. I recommend 10-20 drops of tincture 2-3 x/day for these symptoms. 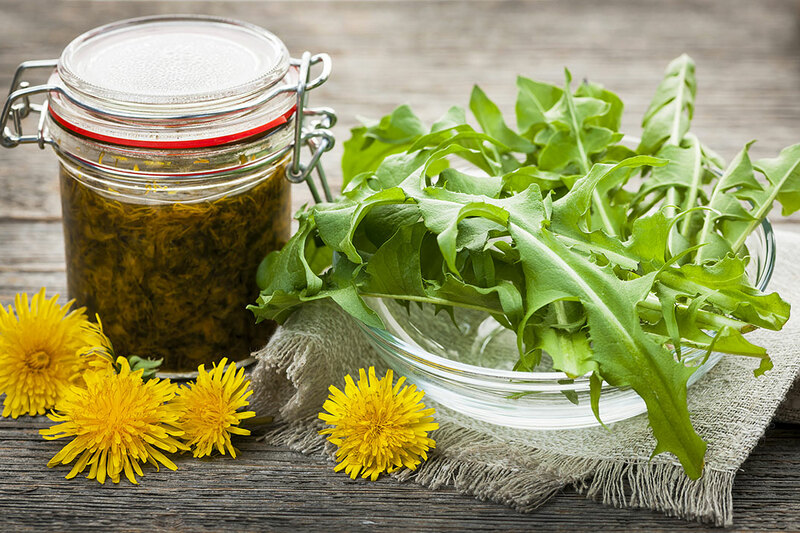 Many who suffer from eczema, psoriasis and other skin conditions find relief with a dandelion tincture while getting back to a whole-food diet and plenty of water. Or consider soaking dandelion leaves and/or flowers in water overnight and using it as a dandelion “wash” on your skin throughout the day. 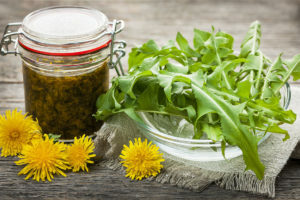 Digestion problems can be complex–yet I have had great luck taking 10 drops of dandelion root tincture prior to meals, especially when I know that meal might not be totally balanced and healthy. It can help prevent heartburn and aid your whole body’s digestive process. Nutritionally, the fresh spring leaves of dandelion contain Vitamin C, almost as much iron as spinach, and four times the Vitamin A. And the bright, sunny flowers can be dredged in a little flour of your choice and beaten egg to saute dandelion fritters, with a touch of sea salt, to brighten any dreary spring day. Rich in minerals like calcium, phosphorus, iron, magnesium, and sodium, it makes a great herbal vinegar when you pack in the fresh leaves (and flowers, if desired) to a jar first, then covering it with regular, pasteurized vinegar before capping it–with a bit of wax paper between your jar and lid to protect the lid. I like to let it sit through a full moon before enjoying dandelion vinegar on salads or in recipes. The vinegar pulls out a host of healthy minerals from the dandelion. In springtime, including a few of the raw leaves with other lettuce helps disguise some of that bitterness that is a wake-up call for your liver to get after making the right digestive enzymes for your next meal. But be sure to “cook” the greens by drizzling a little olive oil over them, along with lemon juice, herbal vinegar of your choice and a sprinkling of sliced almonds or crushed pine nuts. Delicious and nutritious! For more about Dandelion, check out page 193 of my book, Take Back Your Body.